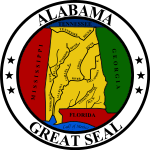 The 2016 United States House of Representatives elections in Alabama were held on November 8, 2016, to elect the seven U.S. Representatives from the state of Alabama, one from each of the state's seven congressional districts. The elections coincided with the 2016 U.S. presidential election, as well as other elections to the House of Representatives, elections to the United States Senate and various state and local elections. The primaries were held on March 1. The incumbent is Republican Bradley Byrne, who has represented the district since 2013. He was re-elected with 68% of the vote in 2014. The district has a PVI of R+15. The incumbent is Republican Martha Roby, who has represented the district since 2011. She was re-elected with 67% of the vote in 2014. The district has a PVI of R+17. Rob John had filed paperwork with the FEC to run as an Independent. After Gerritson declared her candidacy John announced that he was suspending his campaign and endorsing her. The incumbent is Republican Mike Rogers, who has represented the district since 2003. He was re-elected with 66% of the vote in 2014. The district has a PVI of R+16. The incumbent is Republican Robert Aderholt, who has represented the district since 1997. He was re-elected unopposed in 2014. The district has a PVI of R+28. The incumbent is Republican Mo Brooks, who has represented the district since 2011. He was re-elected with 74% of the vote in 2014. The district has a PVI of R+17. The incumbent is Democrat Terri Sewell, who has represented the district since 2011. She was re-elected without opposition in the general election in 2014. The district has a PVI of D+20. David Van Williams originally qualified to run for this district as a Republican, but was removed from the ballot. ^ a b c d "2016 Primary Election Official Results, March 1, 2016". Alabama Secretary of State. Retrieved May 13, 2016. ^ a b c d e f g "General Election Results November 8, 2016" (PDF). Alabama Secretary of State. Retrieved Dec 14, 2016. ^ "FEC Form 2 Statement of Candidacy - Robert E. John, Jr" (PDF). Federal Election Commission. July 24, 2015. Retrieved October 20, 2015. ^ John, Rob (October 1, 2015). "So proud of Becky and her family for this decision..." Facebook. Retrieved October 20, 2015. ^ Cason, Mike (October 1, 2015). "Wetumpka Tea Party founder Becky Gerritson challenges Martha Roby for Congress". al.com. Retrieved October 20, 2015. ^ Koplowitz, Howard (July 27, 2015). "Aderholt opponent Phil Norris doesn't live in district, but he doesn't have to". al.com. Retrieved August 21, 2015. ^ "Amended Certification of Republican Party Candidates (amended 12/2/2015)" (PDF). Alabama Votes. December 2, 2015. Retrieved February 9, 2016. This page was last edited on 12 January 2019, at 17:41 (UTC).